Stu: This week we welcome Catherine Price to the show. 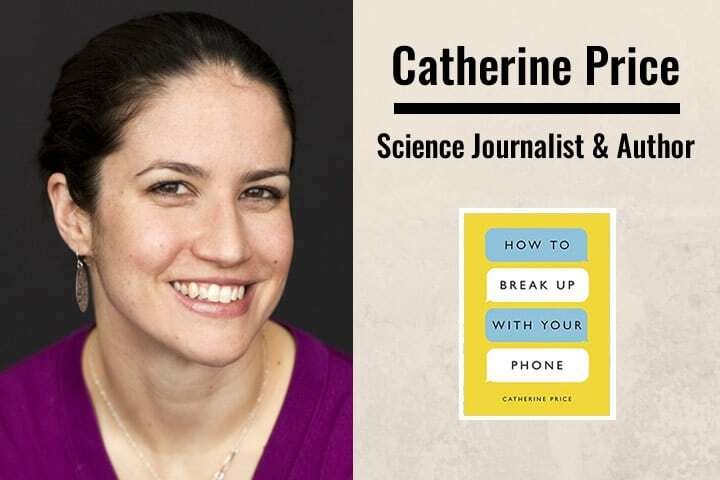 Catherine is a science journalist who recently wrote How to Break Up with Your Phone, reveals some of the many ways in which our phones are affecting our productivity, creativity, relationships, memory, attention spans, and sleep—and provides a personalized plan for how to take back your life from your device (without giving it up completely). 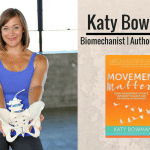 In this interview we discuss the strategies, tips and techniques to address this issue… enjoy. Stu 00:03 Hey, this is Stu from 180 Nutrition and welcome to another episode of The Health Sessions. 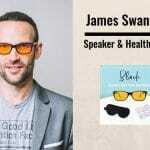 It’s here that we connect with the world’s best experts in health, wellness, and human performance in an attempt to cut through the confusion around what it actually takes to achieve long-lasting health. Now I’m sure that’s something that we all strive to have. I certainly do. 00:23 Before we get into the show today, you might not know that we make products too. That’s right. We’re into whole food nutrition and have a range of super foods and natural supplements to help support your day. If you are curious, want to find out more, just jump over to our website. That is 180nutrition.com.au and take a look. Okay, back to the show. 00:44 This week, I’m excited to welcome Catherine Price. Catherine is an author and science journalist who graduated from Yale and Berkeley Universities. In this episode, we discuss her book, How to Break Up with Your Phone, which presents a practical, hands-on plan to break up, and then make up with your phone. The ultimate goal, a long-term relationship with your phone that actually feels good. 01:07 If you feel that your relationship with your phone is becoming unhealthy, and that you’re losing hours of your day stuck in a virtual world, then this interview is for you. I hope you enjoy this as much as I did. Over to Catherine. 01:23 Hey guys, this is Stu from 180 Nutrition, and I am delighted to welcome Catherine Price to the show. Hello, Catherine. How are you? 02:13 Yeah. Fantastic. You know, I think I first heard about this book through … it might have been Chris Kresser. He wrote an article about this, and mentioned your book. I read that article at a time that was quite important for me, because I’ve got three young girls, our oldest is 13, just turned 13. And then twin daughters as well, at 10 years old. So they’re very much in this digital age. And I always come across to these guys as the grumpy dad because I tell them, “I remember life before the mobile phone, and it was good. It was a sense of freedom, and we were not bound to these devices. We could utilize our attention for real stuff, and we just seemed to be more communicative and in some sense, happier.” 03:10 Now, I use my mobile phone because of work constraints, and I love the fact that I can use it and use the maps, and use the camera, and the photographs and all that kind of stuff. But inside of me, there’s like a tension with this phone whenever I’m around it. And that’s really what I wanted to talk to you about today. So I guess first up, what compelled you to write the book? 03:41 Well, it was my own parenting, I think. I have a three-year-old, and so, when she was a baby, I realized I kept having these moments where I would find her looking up at me, and I would be looking down at my phone. And that really bothered me, because I didn’t want that to be her first impression of a human relationship, and I didn’t want that to be how she thought of her mother, and I didn’t want that to be the way that I was experiencing my own life, or my time as a parent. 04:10 So, I think it was a conclusion I would have eventually come to anyway, because I have a background in mindfulness and just spent a lot of time thinking about how we spend our attention. But the moments with my daughter really were a turning point for me. As a result I started talking about phones with my husband, who was very into the idea. He’s a very big supporter and instigator of my projects. Then we started to just look around us, and to notice that we were certainly not the only people struggling with this. 04:44 The only thing that made us unusual at that point is that we were some of the only people I think, thinking about it. Which thankfully has begun to change. But that was really how it began, and that was in the fall of 2015. Then over the next year, and then over the course of writing the book, I called upon my background as a science and health reporter to try to come up with … well, first of all to discover what our phones were actually doing to us, because that’s fascinating and disturbing. 05:11 But I didn’t want to leave it at that. I also wanted to have a plan that people could do so that it wasn’t just a depressing book. So that’s the second half of the book. It’s a 30-day plan based on the science of behavior change, mindfulness, and other disciplines to change [inaudible 00:05:28] so that you actually end up feeling happier, not just depressed. 05:33 Great. Fantastic. No, it’s funny, I remember … I emigrated to Australia 20 years ago, from the UK. So from London, super busy and not the most friendly … London isn’t the most friendly of capitals, because there are so many people and we’re super busy over there. I arrived in Australia and came into the airport, got on the bus, and then took the bus from the airport down to the beach. And I just remember the level of conversation and engagement on that bus blew me away. The bus driver was turning around, shouting to people at the back and telling them about all the landmarks on the way, and just people were constantly chatting, and there was a really good vibe on the bus. 06:20 Nowadays, nobody talks. It’s silence. Necks down. And I just think, wow, in the space of 15 or so years, what’s happened to us? I wonder if somebody came from outer space, I wonder if they looked at the way that we interacted with our devices, I wonder who they would think was in charge? It’s just crazy. 07:03 … follow our own reptilian brains so that we end up completely checked out of everything around us and not really caring. It’s like making us dumber and less likely to think critically about anything. So it’s kind of a great tool for control, I guess. That’s depressing too. That’s depressing. 07:19 It’s frightening. So what are the telltale signs then, of an unhealthy relationship with our phone? 07:27 Well, I think it’s actually pretty easy. It’s if you notice that using your phone tends to make you feel bad, that would be a big one. But then you can get more detailed if you want to actually assess how much time you’re spending on your phone, if you want to think more critically about, “Okay, well, how do I feel when I’m doing particular things on my phone?” 07:44 Because phones are amazing tools. I’m in no way suggesting we should just toss them under the bus and get rid of them entirely. But the more you start to pay attention to how you’re using your phone, and how you feel when you’re using your phone, and how you’re interacting with other people in regards to your phone, you start to have a better sense of whether or not that feels like it’s healthy or not. 08:07 So yeah, I think that the first step really is to pay attention to how you’re feeling. Another thing is to ask someone you love what they think about how you use your phone, because a lot of times people think they’re totally fine. And then they’ll ask like their kid, and their child will say, “No, you’re on your phone all the time. Please spend less time.” 08:27 So I would say, check in with yourself, check in with someone who loves you, and also I would suggest downloading an app that actually quantifies the amount of time you’re spending on your phone, because that can be a real wake-up call for people. That functionality is being built into the next generation of iPhones and Android systems. 08:46 Okay, okay. In terms of functionality or apps, you think perhaps would be the most addictive, stealing most of our time, what would they be? 08:56 Well that’s not just a thought of mine, that would be a fact. It’s anything where the business model is to get you to spend a lot of time on the app. So by far the most problematic apps are social media apps, but there are similar issues with games, dating, the news, certainly email. So it really depends … you know, you can pick your poison, depending on what your particular vulnerabilities are but social media apps are particularly insidious because they’re so cleverly designed to keep us hooked, and to get us spend more and more time, and share more and more information on them. 09:31 It’s interesting, isn’t it? Because as part of the business, we run social media channels, and I know I follow competitors’ channels, and oftentimes spend in Instagram, and Facebook. The issue for me is that it’s never-ending. There’s no stop to it. It’s a continual feed. And I’m aware that ever now and again I’ll get a positive feeling from something that I see, and I continue to scroll because I think that perhaps I’m craving that positive feeling again, and it’s just wow, you know? I know I can look up and I think, “Where did that half an hour go?” And that’s frightening. 10:14 Yes. I mean, that is all true for everyone who uses social media. The feeds are deliberately designed to be endless in the same way that a casino is designed to not have clocks on the walls and not to have windows. The express purpose is to get you to lose track of time. And in terms of the feeling of pleasure that you get when you find these new things, that’s because your brain is releasing dopamine, which is a neurotransmitter that tells our brains when something is worth repeating. So dopamine is behind all of our habits, but it’s also behind addictions. And if you want to build a product that will hook people, the best thing you can do is put lots of dopamine triggers in there. And that’s exactly what those apps do. 10:51 Yeah, designed for a purpose, right? They’re very clever. So let’s talk a little bit about the book then. For everybody that isn’t aware, the book will guide you through the strategies to be able to release yourself, I guess, from the addictive nature of smartphones. Is it clean break, for the guys that haven’t read it, like do we go cold turkey and just throw the thing out? Or do you ease us through the process? 11:20 No, the important thing to realize about the breakup is that it’s just like when you break up with a person, a human being. You probably are not saying that you’re never going to date a human being again. You just have decided that that relationship is not good for you. So it’s really more about going from what is currently this obsessive romantic relationship, where you’re craving your phone, you can’t stand to be apart from your phone, you’re sleeping with your phone, to just being friends with your phone, so that you’re using it when it’s helpful to you or truly enjoyable, but you’re not letting it take over your life. 11:51 So it’s not about a clean break. The first step is to become more aware of your habits and to set a goal for yourself. There is an exercise later in the breakup called The Trial Separation where I encourage people to take a full 24 hour break from their phone. But that’s an experiment so that you can pay attention to your mental and physical response to that experience and get a sense of what it’s like, so that if you like it, you can incorporate some sort of similar practice into your life going forward. 12:19 But yeah, to emphasize this is not trying to get you to throw your phone out. Although some people might be motivated to try going back to a flip phone. That’s the other thing, it’s all about experimentation. Everything in the book is just an experiment to find out what’s right for you. 12:58 You rebalanced its chi? 13:00 I did. I think so. I think so. I kind of pointed it at the sun and it all worked out for me. 13:09 How long do you think it would typically take to try and rewire ourselves and break this addictive habit? 13:17 Well, that’s part of the reason the plan is actually a plan, and not just a list of tips and tricks, which is what I found most books on the subject typically included, if they included anything actionable at all. The reason that it’s 30 days, I mean obviously there’s an appeal to a 30-day plan, but it’s really because it takes time to change your behavior. So you can’t just expect yourself to do it in a day or two. And one mistake that we commonly make is to jump into making changes to the phone or to our environment, but without actually having a goal for it. 13:50 So for example, if you had deleted those apps but you didn’t have any reason why you were deleting them, you just felt that you should, then it would be highly likely that you would reinstall them. Likewise, if you hadn’t figured out what you want to do with the time that you will be reclaiming from those apps, you’re also much more likely to reinstall them. 14:09 The other thing that takes time in addition the general idea of behavior change is that it is actually retraining your muscle of attention, as I call it. In other words, getting your attention span back. Because the time we spend on our phones actually is training our brains to go back to their preferred state of distraction. And in order to regain the ability to for example read a whole magazine article in one sitting, or a whole … I don’t know, let alone a book, you need to take time to actually build that skill back up. That’s not something that’s going to come overnight. It will happen though. I am here to say that you can get your attention span back, and it feels very good. 14:52 Yeah, it’s interesting. Because on a Sunday over here, typically many people go out and buy the Sunday newspapers. And you get a whole huge thick wad of magazines, and real estate, and auto, and sport, and stuff like that. But the shift has tended to be these days that people don’t go out and buy the papers, but they’ll sit there in bed on their phone, just swiping and swiping and swiping, and feeling that tension, I guess, inside. 15:28 Yeah, very intrigued as to try and get back to that state of relaxation, where you can wake up and you don’t feel compelled to grab the phone. Or you don’t feel compelled to try and touch base with all of your virtual friends to see what they’re doing, but you can actually just get up, breathe, read, relax. I do wonder what that’s doing from an attention perspective, a mindfulness perspective. Because we’re constantly switched on. 15:58 What are your thoughts on that? 16:00 I have many thoughts on that. But one thing that I think is really important that we don’t tend to recognize is that this not just in our heads. We’re actually releasing stress hormones by constantly being tethered to our phones, and if you are constantly on alert to notifications, to what your friends are doing, to what the next news story is, you’re actually living with an elevated level of adrenalin, a fight or flight hormone. 16:27 It’s well-known that having constantly elevated levels of stress hormones is not good for our long-term health. So it’s completely true that we’re negatively impacting our emotional health by constantly turning to the phone at all moments, but we also are having an effect on our physical health in ways that I don’t think many of us realize. 16:50 So in fact, training yourself to not reach for the phone first thing in the morning, and not check the news on your phone, instead actually get a newspaper or find something else to do as your first thing in the morning activity, that actually is very beneficial for your physical health. 17:31 No, I don’t think that there’s anything wrong with that. I think that speaks to the point that our phones are very valuable tools, and in fact you can use your phone to reinforce habits that you actually want to be reinforcing. So the trick is to make it harder to do things on your phone that make you feel bad, and make it easier to do things that make you feel good, or that help you reinforce a habit that you want to be pursuing. 17:59 I have a meditation app on the home screen of my phone, along with a guitar-tuning app, and they’re both there because I want it to be very easy when I reach for my phone and just randomly turn it on, which does still happen, for me to be presented with nothing that’s actually tempting, but instead invitations to meditate or to practice guitar. 18:18 With that said, I do think that there is … I personally find that when I do something on my phone, even if it’s for a beneficial purpose, it still does seem to kind of make me a little bit tense, and so for people … if they’re experiencing that as well, they might want to experiment with maybe having a different way to, in this case, meditate, at least first thing in the morning. 18:41 Like for example, get a set of prayer or mala beads and just use the beads, I mean like a rosary, to work your way around and take a breath for each one. That only occurred to me like, I don’t know, a year ago. Now I keep a set by the bed, so if I wake up … I also don’t keep my phone in the bedroom so I would have to have gone and gotten it. But when I wake up, if I want to have a moment of meditation, I just grab those … 18:41 Gotten it. 19:00 But when I wake up, if a want to have a moment of meditation, I just grab those beads and then I take a breath for every bead and you can get a sense of how long that meditation will be so that you don’t actually have to have a timer, in other words. 19:25 There’s lots of great resources. So I think it really, you really just need to decide what’s right for you in whatever moment you’re in. 19:33 Yeah. I think so. And I guess that the other end of the coin, as well, is that it’s quite tempting as well to know that if you swipe to the right after your meditation, you’ve got all of these goodies that are waiting to speak to you and whisper in your ear about all the wonderful things that are happening, so if the phone’s not dead. 19:51 Yeah, or quantify it. You start to … I have, I think it’s Inside Timer, that was the first one I had. And then it’s like you can see how many hours this month you’ve meditated and that’s very much there to trigger dopamine, so actually … but with that said, that’s a situation in which a dopamine trigger is being used to push you towards a behavior you want to be doing, so it’s not like that’s a necessarily bad thing, bad element of the design. 20:17 But good to recognize when it’s happening. 20:18 Yep. Got it. What about people that say, “Well, I don’t have a problem with my phone.” But then you realize that, if you’re … you go out to dinner and the phone’s on the table and the phone gets used and email’s get checked, and it’s like, “Whoa, what’s going on?” Should we broach this? It’s really, it’s a tricky thing, isn’t it? 20:44 Yes. It is a tricky thing. I think that addressing other people’s relationships with their phones is one of the most difficult parts of this because once you start, and this is my big caveat for the book, if you start rethinking your relationship with your phone, it’s going to be like an Emperor’s new clothes thing. 20:59 You’re going to see the problem everywhere and it’s going to feel like nobody sees it but you. 21:04 And you’re not going to be able to unsee it. I compare it to catching sight of a family member naked that you didn’t want to see, that you can never erase that from your mind. So that’s my warning. But I think that the important thing is to start to talk about this. 21:18 And so, yes, broach the subject. Interestingly, it ends up being very much like couples therapy. Whenever I talk about this I think about like “I feel” statements, right? If your partner or your friend is always on the phone when you’re out to dinner, out to lunch, and it’s driving you crazy. Or you’re in the middle of a story, they pull out the phone. 21:46 You’re not paying attention.” Or “It makes me feel like this isn’t important to you.” Or whatever, because no one can fight back about your feelings, right? 21:55 But it’s just so funny because it really is the same techniques, but I think what people will be surprised by is that they actually aren’t the only people who are worrying about this and who feel that it’s problematic. And that by raising the issue with people, you actually can create … what am I saying … not rules, but basically like habits with particular friends. So you know that when you go out with this friend you both have agreed ahead of time you’re going to put your phones away and if one of you pulls it out to check, you can kind of joke about it. But we need to be having more of those conversations so that we can establish some sort of etiquette around how we’re using these things. And that, in turn, will make it easier to broach the subject. Right now the issue is that we haven’t agreed on what the etiquette is and so it’s hard to be the person who says, “Hey. Can you please stop that?” Right? And that was true at one point with smoking, for example. But at this point in time, at least where I live, it would be very rude if we were to go out for coffee and I took out a cigarette and blew smoke … first of all, took it out, but blew some into your face. 22:55 Asking me to stop. No one else in the restaurant would feel bad about that. We need to get to that point with phones. 23:21 Oh, sorry, I was just going to say that’s a funny example in particular, because we think like, oh, we’re parents. We can’t do that. 23:26 You can’t leave home without the phone if there’s an emergency. And then you think, guess what? What did people do before then? They gave the babysitter the name of the restaurant and if there was a problem, they called the restaurant. It’s not that hard. 23:36 No. That’s right. Yeah, look to the past. It worked then. And I was going to say, I went to Melbourne a couple weeks ago and realized that these things can be so amazingly useful because I picked up a hire car at the airport and plugged in my earphones, put maps on and you’ve got turn-by-turn directions to all these different destinations over the city that I would have no idea to find. While in one sense that’s really, really useful, because I liken that to days where you’d get the map out and it would cover half the windscreen and you’re trying to find out where you are. Is it making us less intelligent, do you think? Because we’ve got answers for everything now. 24:25 Yeah, I think it is. In terms of spacial navigation, I definitely think it is. And I think that there’s a benefit, just as I think there’s a benefit to being bored, I think there’s a benefit to deliberately reading a map or looking around and orienting yourself to where you are on your phone, right? 24:41 The other issue I see with that is that we begin to believe that we have all the answers. We begin to believe that everything we could possibly discover is on that phone and that if you put your destination into Google Maps or just look at Google Maps or Yelp or TripAdvisor, whatever, you’re going to learn everything there possibly is to learn about possible experiences you could be having. 25:01 So it’s kind of like the expression of well, you have a … is a hammer, everything looks like a nail. If you’re relying entirely on your smartphone, you’re only going to find things that are available on your smartphone. 25:13 So in the sense of having a rewarding trip or experiencing meaningful things in life, that’s a real problem. 25:58 That is like third grade math. 26:01 No, totally. I find that in myself though too. Okay, I’m just a huge … probably grumpy also, but also a huge dork. So sometimes I’ll try to do things like just do multiplication in my head, just to keep those things moving. I use to teach middle school math and I remember, that year in particular, I was just so much better at arithmetic than I am now because I was thinking about it all the time. 26:20 And that’s a skill I would like to keep up. 26:22 Yeah, totally. So with the children, so with the kids, and this is where I have particular concern because I can see lots of things happening. And one of them right now, for me, is let’s say going out to a restaurant. And it’s almost, if the kid doesn’t have an iPad, then things go wrong. And so I see lots of families who are engaged in dinner and conversation and their children are switched off with their heads down, like bowing to these glowing devices. Swipe, swipe, swipe, swipe. It’s almost like they’ve been lobotomized. And I don’t know what that’s doing for … I don’t know what that’s doing for their development, but I do know, or at least I’ve experienced, they seem to be less able to remain calm and keep themselves occupied in these spaces without the device. What are your thoughts on these tablets and smartphones and all this with younger children? 27:33 I think it’s horrible and I think that we don’t fully know the effects yet. But it certainly is having an effect and I feel quite confident saying that, at least in my judgment, the effects are not good. 27:46 Right? Importantly, we should remember that it’s changing all of us, it’s not just kids. Their brains are particularly vulnerable to being shaped because they haven’t been shaped already, but there’s plenty of times when I’ve been out to dinner and it’s not just the kids on the phones and the tablets, it’s the whole family and no one’s engaging with one another. I think it’s a really big problem. I also, it is true that it’s causing behavioral issues. Because essentially, you’re training children to expect constant stimulation. 28:18 And it is because we are establishing this brain … the dopamine cycle. 28:24 Where if you’re constantly stimulated by dopamine, you’re going to want more and more dopamine. We’re in a … really are establishing addictions in our children when we give them tablets and phones to distract them. 28:34 And it’s a touch subject to talk about because things get very sensitive when you’re talking about parenting habits. So I would like to point out, I don’t think that any parent is consciously trying to addict their children to a device. But I think we should become aware that we actually are doing that. And just think about it, think about playing a game on the phone versus reading a book, right? As adults, we know that reading a book has value, even if we don’t really do it as much as we used to, in large part because of our phones. 29:02 If you’re a kid, though, you don’t … and you haven’t discovered the joy of reading, you’re just comparing an extremely difficult task, right? Deciphering symbols off of a page and imagining it in your head, to playing a video game or watching a video or a movie of that story. Which one are you going to choose? And once you start to choose that faster paced alternative, it is very difficult to go to reading and think of that as your primary source of entertainment. I can talk about this at length, but I’ve also had interesting conversations with people who work with children with autism spectrum disorder. 29:37 Who see firsthand the difference that it makes with the people that they’re working with when they have screens. Obviously, they can be useful in some ways, but one woman in particular that I spoke with, was telling me about how if she is in a public space with one of the kids she works with, she has to do a mental scan … or actually, a real scan of her surroundings to see if there is anyone on a device. Because if there is, she knows the kid she’s going to work with is going to try to get the device and throw a fit if they can’t get it. 30:03 And just as an anecdote that I’ve observed with people without ASD, I was in a lunch place the other week and I saw a very small child in a stroller with a smartphone. And I was thinking … and he was completely absorbed in this video game. He was probably like two. And his mother went to pay and had to take the phone because she was using it to pay. This previously placid kid started screaming, flailing, and physically hitting his mother. 30:29 And I thought to myself, that’s not surprising to me. 30:32 No. 30:32 Because you just took away what he was addicted to. And I have no doubt that the mother did not intend to do that to her kid, but watching it from the outside, it was just really a disturbing example of what I think a broader trend. 30:46 It’s frightening. It’s absolutely frightening. And I guess, like you said, it’s not just the kids. We see it everywhere. We’re, yeah, certainly a nation of … we just seem to be addicted, continually. Smartphones everywhere. 31:05 We are. But the other things about kids I think is interesting, is that when you’re on your phone you’re only engaging one sense, or two senses at most, right? 31:10 Your eyes and your ears. You’re swiping, but that’s just touching the screen. 31:15 And that actually is a big deal because in order to engage with the world, or to be able to do stuff with your hands, you have to practice. 31:24 And for example, my poor child, she doesn’t get to use screens at all. But I had a stamp set that my mother, my wonderful mother, had tucked this into a bag and I didn’t know it, we were traveling, and it’s one of those moments where you really need a distraction and all of a sudden there was this stamp set and I was just so grateful. But I was watching my daughter play with these little styrofoam stamps and figure out how to use them. And I was thinking, I’m sure there’s an app for that. I know there’s an app for that. There’s a stamping app. But to consider the differences between those two activities. On the one hand, you would just be touching your screen and you’d see the stamp. On the other hand, you’re having to manipulate these very small pieces, you’re having to figure out how to get the ink on correctly, you have to figure out the pressure you’re using to get it to look the way you want to. There’s actually a lot going on there that we don’t really recognize. And there are countless examples of that in the different between a tactile, physical object, and doing the same thing on the screen. So I think there’s many, many, many ways that our screens are affecting us and affecting our children. And we don’t have all the answers yet, but we should be approaching them from a place of caution. 32:31 And assume that it’s doing something, that the effects may be bad, and these are not … the bottom line is, it’s not innocuous, and it’s probably having a harmful effect. 32:42 I would say so. It was about a year ago and two of our daughters went to vacation care. And they came back really excited and said, “Oh, we had a great day.” And I said, “What’d you do?” They said, “We did pottery.” And I thought, wow. And I remember, at school, doing pottery and it was really messy and we came back with this great big wobbly pot that was shaking all over the place and sprayed you with water and clay. And I said, “Well, what did you make?” And they said, “Well, I made a pot.” “And I made a plate.” And I said, “Well, great. Well where are they?” And they said, “We don’t have it.” And I said, “Are you going to go and get them and wait for them to dry and then paint them?” They said, “No, it was on the iPad.” And I just … you’ve got to be kidding me. Really? 33:35 Wow. There really is an app for everything. 33:38 There is an app for everything. Yeah. 33:47 But yeah, that would not have been the same if Demi Moore had been … or [inaudible 00:33:51] had been using an app to do the pottery. 33:59 Yeah, it’s just crazy. So all of my friends out there that don’t think that they have an issue with their smartphones. 34:06 Yeah, they certainly do. 34:11 I’ve heard about a test called “The Smartphone Compulsion Test.” Is that worthy of sending a link? Is that credible? What are your thoughts on that? 34:22 Yeah, “The Smartphone Compulsion Test,” I included in the book. It was developed by David Greenfield, who’s a doctor and founder of the center for Internet Addiction. 34:30 At the Connecticut, at the States. And it’s a 15 question quiz. 34:36 That you will fail. [inaudible 00:34:40] I have the book right here, I can read you a sample question. 34:46 Do you find yourself spending more time on your smartphone than you realize? Do you find yourself mindlessly passing time on a regular basis by staring at your smartphone? Do you seem to lose track of time when you’re on your smartphone? Et cetera. 34:58 Yeah. You cannot take that quiz if you have a smartphone and not qualify for a psychiatric evaluation. And that makes it easy to say this is overblown, this quiz is ridiculous, whatever. 35:34 You would not say, “Oh, everybody’s doing it, so it must be okay.” You’d be like, “No, this is very strange and I think maybe something we should be worried about.” So I do think it’s worth sending the quiz and sharing the quiz, because it’s surprising to realize that everyone’s going to score so highly. And I think, also, again going back to the idea that we should be talking more about this, anything that’s a conversation starter is a good thing. Anything that can make this kind of a, not a personal attack, but rather like, isn’t this interesting? I took this quiz and I scored a 14, how about you? 36:06 I think is a good thing to do. And I think, also, in terms of conversations, we need to include our children in this. Because often when I talk to parents or adults, we’re so concerned about our kids and it tends to be expressed in the form of, how can I restrict their screen time, how can I control what they’re doing? Which isn’t really that productive, because you’re making it even more tempting. 36:27 So I think, as much as possible, we should be including our children in these conversations and asking them about our use of our smartphones, about their use of their smartphones, ask them what they think a good relationship would look like. 36:38 There was recently an interesting article in the New York Times in which a reporter used the new parental controls on himself. And he also partnered with a teenage girl. 36:55 Because she liked having a reason to not have to be on Instagram all the time. So in some cases, having restrictions or having rules actually can be very liberating and can also give a kid a scapegoat if someone’s saying, “Why didn’t you respond to me on Snapchat?” Or whatever it is. And it’s like, “Oh, well I don’t use Instagram that much” or “I can’t use Instagram.” There’s a benefit to having limits sometimes and I think we might be surprised by having our children occasionally decide that they want to set limits for themselves. 37:26 Yeah. And that’s great. It’s great to be in that position. And like you said, I think it’s very important just to start the conversation. And just raise the topic because then, like I think you mentioned before, you can’t unlearn what you’ve learned. And so when this issue is raised and you think well, perhaps it is a problem, that thought is always going to be there. 37:52 We can ignore that thought, but the thought’s always going to be there. 37:54 And it’ll be triggered every time you step outside. 37:57 Yeah. Exactly. And we’ll be continually reminded, like you said, because you go into the city- 38:00 Nearly reminded like you said because go into the City … Drones, we’re being guided by these smartphones everywhere we go. 38:09 Lobotomy was a good word that we used earlier. 38:13 Yeah. There’ll be an app for self-lobotomy, no doubt. 38:13 [crosstalk 00:38:17]. 38:21 In terms of other health aspects, outside of the continual stimulation … And I’m thinking about things like staring down continuously, with the neck. Not moving. And also blue light, as well. In terms of interrupting our hormones and interfering with sleep, which I think is the most critical pillar of health. 38:51 I mean, let’s start with sleep, what are your thoughts on that? 38:59 Phones are messing up with our sleep … Messing up our sleep, and that is having a negative effect on all sorts of other things. There’s a lot of things that people are like, “Oh, is it really true that phones are effecting our concentration, or our focus, or …” Our, I don’t know, whatever. 39:13 And maybe some of those are less established than others, but sleep effects all those things, and phones are definitely effecting our sleep. 39:20 So, to touch on what you were referring to, our phones emit a very blue light, and blue light, it’s the same wave lengths that are in daylight, so when you’re exposed to blue light, you’re telling your brain it’s time to be awake. As opposed to a yellow light, the color of the fading … As the day gets closer to night, you have different yellow light, so when you’re holding your phone in front of your face … Also, I should say, the closer the light source is, the more powerful the effects will be, so when you’re checking your phone, spending time on your phone before bed, you’re exposing yourself at very close range, to a blue light that is telling your brain that it’s daytime. 39:58 And essentially, you’re giving yourself jet lag. That’s true even if you have night shift, there’s modes that will lessen this effect by making the screen a bit more yellow, but you’re still exposing yourself to light at a time that you’re trying to wind down. 40:12 And once more, light aside, the things you’re doing on your phone are probably not very relaxing. I mean, maybe you’re using that Headspace app, but I’m gonna bet that just as often, you’re checking twitter, checking the news, checking social media, checking your email, doing something. 40:26 I mean, I think of my phone as a Pandora’s Box of emotions. When I check it, I’m gonna feel different afterwards, and probably not better. 40:36 So, that’s one thing, in terms of the physical effects, that’s something that is under acknowledged too, I think, our heads are basically the weight of a bowling ball, if you lean forward, the amount of weight you’re trying to support. So, when people are leaning over and constantly checking, we’re having very bad effects on our posture, that’s something we definitely don’t know the lng term effects of yet. 40:58 But I’ve spoken to physical therapists, one person in particular stands out, who was telling me that he went to a talk by an older physical therapist who’d been in the field for a long time, he said he used to be able to immediately tell people who were dentists. As soon as they walked in, he knew they were dentists because they had this very characteristic hunch in the upper spine, from leaning over people’s teeth all the time. 41:18 And he said, “These days, I can’t tell who’s a dentist.” And I thought, “Wow, that’s pretty telling.” 41:24 But it’s not just our heads, we’re also developing texting thumb, cellphone elbow. I mean, we’re giving ourselves … And again, going back to what you were saying, how can you tell you have a problem, well, the definition of addiction is not being able to stop something, even if you know that it’s causing harm, and if you’re getting to the point where you’re texting so much that your thumbs are hurting, but you can’t cut back on the texting, that should be a warning sign. 41:48 Yeah. That’s good advice. 41:49 Now, it is interesting when you realize how much, how often, and to what level we use these phones, continual every day. And I did a little experiment a couple of months ago where I thought, I’m gonna go out, without the phone, for the entire day, and I was put in situations where I knew I would be waiting around, interacting at the same time, and meeting lots of people, and you find yourself feeling uncomfortable, but then you find yourself in a situation where you get a chance to stop to talk to strangers, as well. 42:28 And not in a creepy sense, but it’s like, well, “Hey, what’re you doing? How long you been here?” And you start to interact again, and I think we’re missing that. Certainly from a community perspective, a family perspective, that communication. That level of bonding is just slipping away because we’ve all got these virtual communities now. 42:55 Yeah, it makes me wonder how many relationships are not starting as a result of these devices. You turn to your device to find a romantic partner, but I’ve talked to bartenders, and observed bars myself. People aren’t chatting with each other anymore, if someone’s just sitting there alone, they’re on their phone. 43:11 Even people who are there together are on their phones. So it’s just … I mean, I agree with you, it’s definitely concerning to realize how many interactions are not happening. And on the flip side, though, I think it’s important for people to just experiment with doing something like striking up a conversation with a stranger, and notice how that makes you feel, compared to just spending that time staring at your phone. 43:34 There are some academics who wrote a book, or an article, about what they called Fleeting Relationships, and this is the conversations you have with people you’re probably never gonna interact with again, or regular conversations with someone you’re really never gonna get to know that well, like the barista at the coffee shop. 43:49 And they were pointing out that while those would seem kind of inconsequential, these fleeting relationships actually have a really profound impact on our sense of community, and connectivity, and really are powerful, and that’s something that we’re definitely, definitely losing. 44:05 Also, I think that it’s important to give ourselves time to be still, and be bored. For many reasons, but one is that if you’re constantly filling yourself up with content, and not giving your brain any space, your brain can’t come up with new thoughts. It’s just dealing with the input, so in terms of productivity and creativity, picking five minutes a day where you’re deliberately going to just look out a window, or stare at a wall is actually very good for you. 44:36 And relaxing. I know, I try, if I’m in a cab or an uber, I deliberately don’t check my phone, and use that as kind of a time to just take a couple breaths and relax, and it’s gonna sound funny, but I find that to be addicting. 44:49 It feels so good. I really look forward to it. 44:52 Well, how many of us daydream now? I mean, you just, like you said, stare out the window, or at least daydream. Well, probably not because we are using that time to connect, which is sad, I think, for want of a better word. 45:09 Well, to put a more positive spin on it though, the very act of paying attention really is a powerful tool, and I’m not just saying that there’s … In such, it’s kind of like a California thing, there’s strong scientific evidence behind this. My favorite example is this series of trials run by this guy Judson Brewer, who’s now at the Center for Mindfulness at the University of Massachusetts in America, and he wanted to see if teaching people who … Smokers, to just pay attention to their experience of smoking a cigarette, would be as effective a technique in helping them to quit. That’s the gold standard program from the American Lung Association, and basically, it was exactly what I’d just described. Catherine: 45:50 People were supposed to not try to fight against the cravings for the cigarettes, they were just supposed to kind of be curious about them, like ask, “What does that feel like in my body? What does it feel like in my mind? What happens if I don’t engage in it? How long does it last? Does it fade on its own? What happens if I do? If I do engage with it, what does it feel like to inhale the smoke, what does it taste like? What does it taste like afterwards?” Etc. things like that. 46:12 And he found that in the short term, it was two times as effective, and in the long terms, it was five times as effective as the American Lung Association’s program, so I found that to be really a very inspiring example because smoking is obviously a chemical addiction that is, I believe, harder to stop than checking your phone. 46:31 But, just paying attention to how it made them feel, helped people to stop. And he had some great quotes from people, saying things like, “I’d never really tasted a cigarette before. I didn’t realize what it tasted like, I realize I didn’t like that.” And saying things like, “I went from knowing it was bad for me, in my head, to really feeling that in my bones.” And going from a place where you feel like, “Oh, I should quit.” To, “Wait a second, I want to quit.” And that’s a very big change, that is very powerful. 46:57 Yup, fantastic. 46:58 Now, I completely agree, and I guess it all comes back to being present, doesn’t it, really? At the end of the day, you are in the moment, you’re experiencing the taste and the textures and the movements and gestures, of any given task, and completely present, which I think is, in some parts, what these devices and the internet, in general is taking away from us, that we’re continually connecting. 47:30 Although we hate it, right? We hate actually being present with our thoughts, so that’s why they’re so powerful. 47:36 But what I like to say is that our lives are what we pay attention to, so it’s not a judgemental statement. You can choose to spend your attention on your phone, but make sure that that’s a choice, and not just something you slipped into. 47:48 And for many people, I think, they would say, if given the choice between spending their time and attention in their lives on their phones, they would prefer to actually spend those same resources which are finite, on having meaningful experiences in real life, with real people. 48:03 Yeah. I completely agree, I completely agree. 48:06 So, we’re just coming up on times, Catherine, so just before we get into the links and urls of where we can find all this great information, just tell me perhaps what you do now. What you’ve managed to do more of now, by changing the way you use your device, as opposed to where you were previously. 48:34 Well this is one of the coolest things I think that’s happened as a result of this project, and the most inspiring, which is that, I’m spending more time doing things I like, and the process by which that came to happen, was that I was doing one of these 24 hour breaks from my phone, and I was sitting in our living room, we have a kid, as I mentioned, and she was napping, so I couldn’t leave, to do anything else, and I noticed that I was just sitting there, bored, and not bored in a good way, I was just waiting for time to pass, and I was waiting for dinner. It was like 2 o’clock in the afternoon. 49:07 And I thought to myself, “Oh my goodness, I’m waiting for my life to pass. This is not something that’s good.” And I was like, “Catherine, what do you actually want to do?” I mean, right? That’s actually a surprisingly difficult question for a lot of people. 49:20 And one thing that came to mind is, “Oh, well, you always say you …” It’s always second person when I talk to myself like this, “You wanna learn guitar. But you never get around to it.” And so, I decided that the next time I was online, the next day, I would sign up for an adult guitar class. Which I knew about in the neighborhood, it’s a BYOB, very informal group of adults that just get together, and practice guitar. 49:42 And I signed up for it, and that, in turn, led to an adult choir, and that really led to this community of people whom I never would’ve met, whom I get together with to do something that has no point, other than to have fun, and to learn something new. And it’s something that I never could recreate on the phone. 50:02 So, that’s been just a really nice example of how the phone, where it also has caused many problems for me, has also been an inspiration to lead a fuller life. 50:32 A lot of people will say, “I can’t do that, it’s too much to put down my phone.” And my answer is well, it’s not about putting down your phone, but also even if you can’t … No one can create a perfect relationship with your phone. I don’t have one, it’s a device that’s designed to be addictive, it’s totally impossible. 50:47 But you can have a better relationship, in whatever increment you’re able to achieve, you can have a step in the right direction, right? 50:54 And also, this is an experiment meant to make you happy, so if you try something, and it doesn’t work, and it doesn’t feel good, don’t keep doing it. Just trying things out. Just be curious about it. So, I encourage people to come at this from a playful spirit, and with the goal of making themselves feel good. 51:11 Yup, give it a go. See how it works. 51:14 Well, as I said, I’m on week two, and I’m very aware of the phone, anyway, and I don’t like the use, but I have found that deleting things, moving things out of plain sight has been really useful for me. Putting them into folders, and grouping them, so they’re not instantly there, and waving at me, has been really helpful, so thank you so much. I look forward to week four. 51:39 Yes, and please let me know, stay in touch. 51:43 And if your listeners want to do a group breakup, I would be happy to be a helper in that, and assist as a coach. 51:59 Well, I’m continuing to speak about this and write about it as much as possible, and I’ve got other books and ideas in the works, and hope to soon have a podcast that would relate to this idea, focused on the general theme of the joy of missing out on things, so people can look for that in the coming months and year. 52:19 Fantastic, and how can we get more of you? How can we … Where’s the best place to send them for more info on you, info on the book, and anything that you might be have in the pipeline? 52:32 Well, the book’s website is phonebreakup.com, and if you visit that, obviously there’s links to buy the book, but there’s also lots of free resources you can use, including lock screen images you can download that say things like, “Why are you picking me up right now?” Or what you wanna pay attention to that you can use to give yourself a check when you go to automatically reach for your phone. 52:51 There’s tips for parents, things like that, and there’s also a sign up for a 30 day online challenge, which is a series of emails that’s timed to accompany you as you make your way through the book and the challenge, so that can be something that’s fun to sign up for, with friends and family. 53:06 My personal website is Catherine-Price.com, that’s Catherine with a C, and you could find me on Twitter occasionally, @Catherine_Price. 53:16 So there’s … Yeah. 53:24 I’ve never been much of a tweeter, honestly. Right now, the irony is that I’m actually becoming … I’m figuring out how to use social media more without having it take over my life, just because as a writer and an author, you have to have some way to connect with people. 53:37 But that’s an interesting point too, that again, it’s not bad. It’s like how you use it, and if you’re using it in a way that’s useful, it feels good, then that’s not a problem. 53:45 Absolutely. I agree 100%. 53:48 Well, Catherine, thank you so much for your time. We will put all of the links and show notes on the website and really look forward to spreading the word, and getting this out to our audience, and beyond. So thank you, again for your time. 54:00 Thank you so much for having me. 54:01 Okay, we’ll speak to you soon. Bye Bye.